Buffer Park Golf Course is located just minutes from both Downtown Indianapolis and the Indianapolis International Airport. ( View directions to Buffer Park). Buffer Park offers a fun and challenging experience for the beginner and the scratch golfer, and every player in between. Buffer Park also operates a beautiful clubhouse facility that is equipped with a Pro Shop, Snack Bar, and a large meeting room that may be rented for receptions and meetings. Plans for Buffer Park originated in 1995, public approval was obtained in 1997. Construction started in May 1998, and on June 1, 1999, Buffer Park was opened to the public. The golf course is owned and operated by Southside Landfill, Inc. which is located adjacent to the golf course. Buffer Park was developed by the landfill in their ongoing efforts to be a positive and responsible corporate citizen. The golf course gets its name from being the Buffer between the landfill and the surrounding properties. 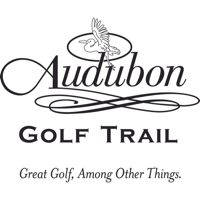 Our goal is to provide the finest 9 hole golf experience in Indiana. Buffer Park makes an excellent setting for great golf, leagues, corporate events, and golf outings. Our professional and friendly staff look forward to assisting you with any of your golfing needs. (317) 241-5046. Please call 317-253-3114 for current rates. Call 317-253-3114 for rates and tee times. Contact Broadmoor Country Club at 317-253-3114 for more information and details on holding a golf outing at the course. Contact Broadmoor Country Club at 317-253-3114. Contact Broadmoor Country Club at 317-253-3114 for onsite or nearby dining options. This profile was last updated on 08/03/2018 and has been viewed 7,976 times.